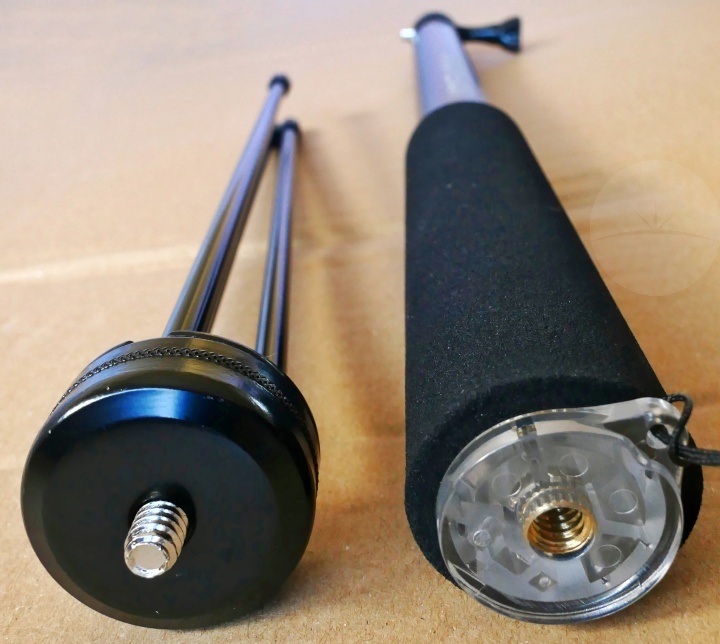 More than just your regular selfie stick, this highly portable monopod can also be used like a tripod by attaching it to a three-legged stand. Inside the cardboard box a drawstring carry pouch contains the stick, instructions, tripod stand, smartphone / table holder and clip-on Bluetooth remote. 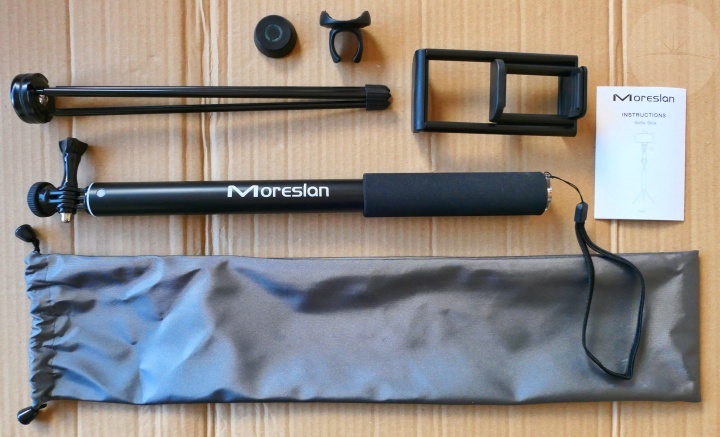 At about 1.25ft long, the monopod extends out telescopically to almost 5ft long. It has been made from a combination of high quality black painted aluminium and grey ABS which seems both strong and lightweight. The polycarbonate handle is also soft and grippy. 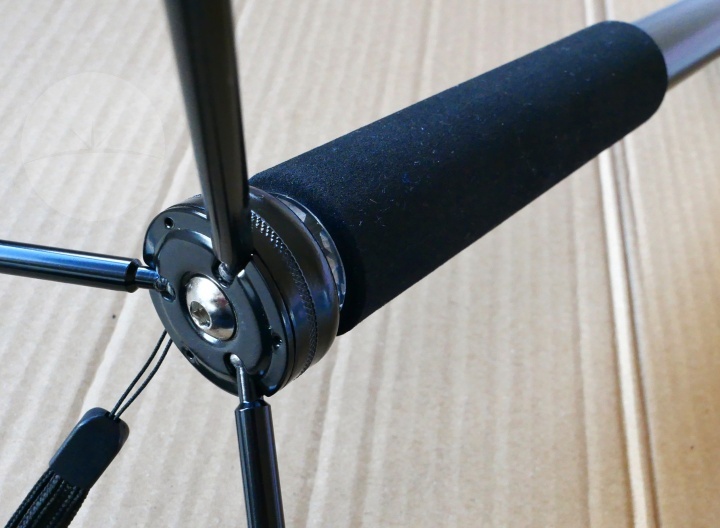 The metal tripod attaches to the handle-end of the monopod via a standard ¼” screw. This stand folds flat but opens fairly wide to provide a stable base for the stick and keep it sitting upright. 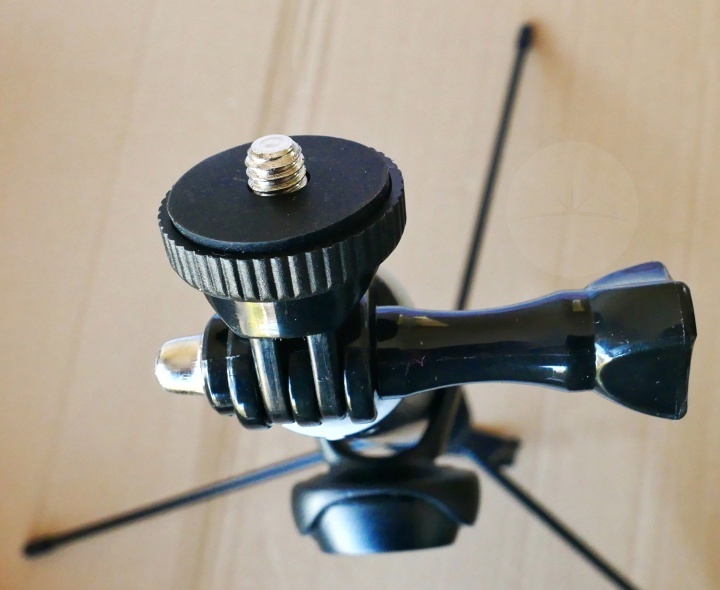 At the other end of the stick you get another ¼” tripod screw connected using a GoPro attachment – letting you add just about any camera and position it at any angle. You can also use this stick with the camera on your smart device by adding the double-sided spring-loaded grip attachment – one side holds a smartphone while the other is wide enough to mount a large tablet. 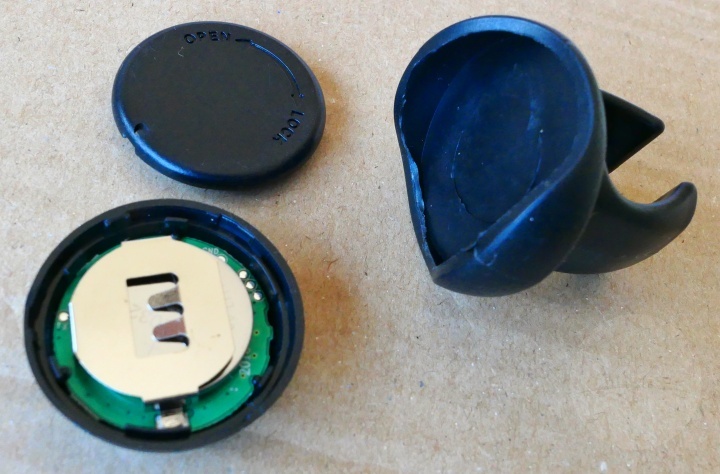 This gripped my phone securely so I’d have no concerns trusting it with an expensive device. The Bluetooth remote shutter button can be clipped onto the stick or carried around with you – giving complete flexibility for triggering your shots. Again this worked well with my phone. My only concern would be that it isn’t rechargeable so the two coin batteries will eventually need to be replaced. While I wouldn’t consider this as being up to professional tripod standards, for amateur / casual photos this will be ideal. It’s been well made with a design that provides a lot of flexibility in a neat little package that won’t weigh you down. If you need something to help you take stable shots and selfies on your travels then for the $24 asking price you couldn’t go far wrong with this handy solution.